A federal judge delayed former Trump campaign chairman Paul Manafort's financial fraud trial by several days after his lawyers on Monday sought more time to review documents, NBC News reported. The defense team argued it needs more time to review more than 120,000 pages of documents received in the last few weeks ahead of the Wednesday trial start date. One of the prosecutors on special counsel Robert Mueller's team said they are mostly pictures and said they may not help Manafort's case. 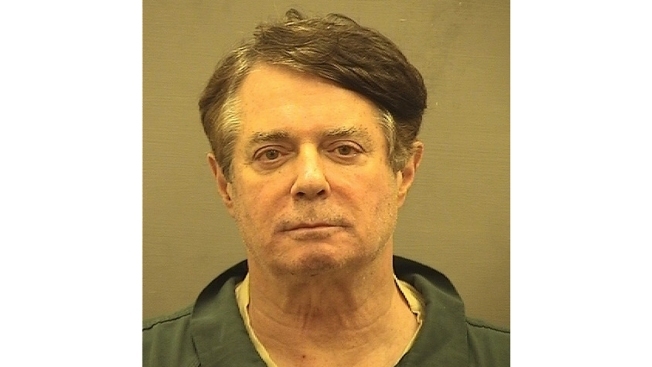 The charges Manafort is set to face, now in a trial beginning July 31, have nothing to do with the Trump campaign — he's pleaded not guilty to charges of hiding at least $30 million allegedly earned while representing Ukraine and its then-leader, an ally of Russia. Also on Monday, the judge unsealed federal prosecutors' list of five trial witnesses who will be granted immunity for their testimony if they are called.